Forty-one years together is something really special and you should congratulate yourselves for reaching this incredible milestone together. What is the 41st wedding anniversary name and symbol? 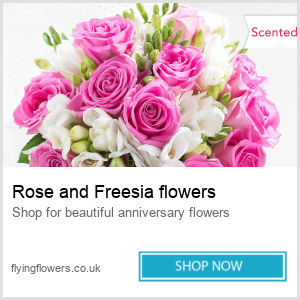 As you will already know, there are certain symbols, items, gemstones and flowers associated with different wedding anniversary dates, but the 41st wedding anniversary only has one modern-day equivalent of those, which is land, possibly due to the fact the couple are by now seasoned travellers and have no doubts where they wish to spend the rest of their lives together. What is 41st wedding anniversary gift for Him, Her and Parents? Couples celebrating their 41st anniversary probably have acquired everything they want to make their lives comfortable, making it difficult to select a suitable gift, but since you know them, then a favoured standby of a gift certificate from their favourite store would make a simple and elegant gift. If you have a house and want somewhere to retire to, maybe something a little quieter and more peaceful then now is the time to think about investing in land or using land you already have and creating something special from it. You could build a new home on it or use it to invest some money into it and live off the profits of whatever project you have in mind. You might wish to spend the evening together in a special restaurant or visit a restaurant of your favourite chef, or simply stay at home for a candlelit dinner together reminiscing over your many treasured memories. What can I buy my husband for our 41st wedding anniversary? Rent an allotment, grow your own veg. Plant a tree in your own garden. 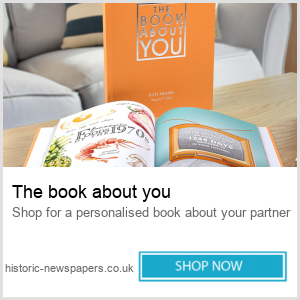 Gift vouchers (books, gadgets, garden related). What should I buy my wife on our 41st wedding anniversary? Gift voucher for garden plants and equipment. Nasturtium plants (plant these in a planter, you can eat them as well). Segway tour of a country house and gardens. Country pursuits (day at the races, clay pigeon shooting etc.). Visit Eden project in Cornwall. Go tulip bulb shopping to Holland? Whatever your choice, celebrate your 41st wedding anniversary with love and romance and most importantly enjoy your special day.